I met Rachel Sawyer in the Fall of 1991 when I began attending a Christian gathering at the University of Western Ontario. 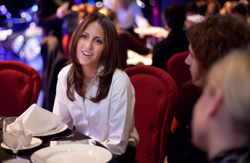 At the time, Rachel was the president of the group—already a mentor among her peers. 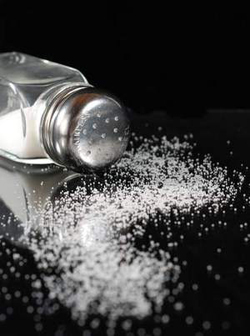 I confess that, even with the onset of facebook, I have lost contact with many of my friends from that time. The same might be true of my relationship with Rachel if she hadn’t married my friend, Neil Barkey. (Neil was my counselor at Muskoka Woods when I was a teenager). I haven’t seen Neil or Rachel in many years, but have tracked their lives with interest through our mutual friends. On March 4, Rachel delivered a message to nearly 600 women at the River Rock Show Theatre in Vancouver BC. The title of her message was, “Death is not Dying: A Faith That Saves” (sponsored by Westside Church). As a preacher, I sometimes field comments about the length of Sunday messages–mainly from those who wish them to be no more than 20 minutes in length. Rachel’s message was 55 minutes long, and I hung on her every word. Her message oozed with sincerity, integrity, and biblical truth. I don’t ask why because I know the answer: We live in a sinful world. Bad things happen. But it was not supposed to be this way. And it will not always be this way. God has a plan. He has made a way for sinful people to be with Him in a perfect world. The way is Jesus. 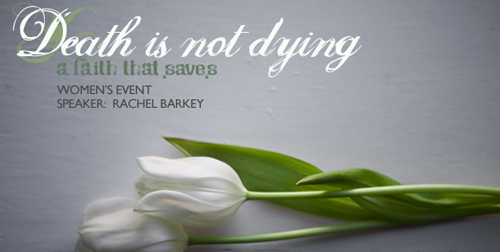 Suffering has tested, but not shaken the faith of Rachel Barkey. Her testimony is nothing short of inspiring. Rachel’s message (below) is one of the best explanations of the Christian message I have ever heard. Moreover, her message is one of the best explanations of why things are the way they are that I have ever heard. Listening to Rachel Barkey this morning was an outstanding way to spend an hour of my day. The least I can do is encourage those who read this blog to have the same opportunity to spend an hour well. The video of this message has been added recently and may be viewed here. Rachel was recently a guest on The Drew Marshall Show and her interview can be heard here. Rachel Barkey went to be with her Lord on July 2, 2009. Rachel’s testimony continues to be the most read post on this blog. John Calvin, born July 10, 1509 turns 500 this year. Many congregations, seminaries, and denominations are marking the occasion with special John Calvin ‘days’ and conferences. I’ve had the prvilege of presenting on Calvin at a two day conference in Ottawa this past September, and a one day conference in Toronto this past Saturday. I am one-part grateful for these particular speaking opportunities, and one-part curious. I am not a Calvin scholar. I have no special credentials to teach on 16th Century theologians. My best guess for why someone like myself would be asked to make such a presentation is that my passion for the current relevance of John Calvin’s theology might have leaked out. Ask me which book, outside of the Bible, has most influenced my theology and the answer is Calvin’s Institutes of the Christian Religion. Ask me my preferred commentary series to help my sermon prep and my answer is Calvin’s Commentaries. In short, John Calvin continues to have a huge influence on how I think about God and how I think about the role of the Church in this world. Indeed, his writings are impressively relevant nearly 500 years later. Leading up to Calvin’s 500th birthday, I will endeavour to post a number of articles celebrating the Reformation and Calvin’s ongoing influence on Christian ministries today. 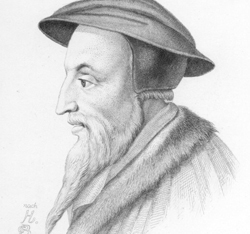 In his early years, Calvin might have been voted the most unlikely candidate to bring such substantial leadership to the Reformation in Europe. I say this thinking of Calvin’s upbringing and early academic training. You see, John Calvin was raised within the Roman Catholic Church. Calvin’s father had actually intended him to enter the priesthood. John Calvin’s brother, Charles, did become a Roman Catholic priest but was later excommunicated. Moreover, Calvin’s primary area of study was in Humanism. But as a testament to God’s sovereignty, Calvin, the Roman Catholic humanist, was transformed into a Reformation leader engrossed by a passion for God’s glory. And sewing these emphases together is the Providence of God. One of the enduring features of Calvin’s ministry is his capacity for expressing in words the majesty of God. This God-exalting emphasis within Calvin’s writings has indelibly marked my own ministry. Calvin continues to remind me that a passion to promote God’s glory ought to drive and animate all that we do. And I am indebted to Calvin for the reminder that I best understand my guilt not by looking within but by gazing at the majesty of God. To regard Calvin’s theology as simply man-abasing is to skip a vital step. Calvin’s God-exalting theology brings man’s predicant into clear focus. For this, I am ever grateful. It’s probably safe to say that we all want to make a difference. To some degree, we all long to be world-changers. We desire to make a positive, and lasting, IMPACT. To this end, we work hard. We study hard. We save money. We donate money. We volunteer…and the list goes on. What I’ve found is the IMPACT that I bring about is hugely varied, and usually short-lived. Wouldn’t it be great to have some assurance that our efforts will produce enduring results? The New Testament gives us this assurance. Jesus gives us this assurance when He says, “I am the vine; you are the branches. If a man remains in Me and I in him, he will bear much fruit” (John 15:5). Translation: The IMPACT we make corresponds with our proximity to Jesus Christ. I have to avoid the temptation to leap into action apart from enlisting Divine strength. If I seek to make a difference merely by my own efforts, the IMPACT I make will be diminished, and will be effectual for this world only. Thankfully, Jesus presents us with a way to make an IMPACT that ripples into eternity. That’s what I want! So how do we get that proximity to God? How do we even approach Him? And what role does the local church play in our making an IMPACT? Looking at Hebrews 10:19-25, I addressed these questions this past Sunday in a message delivered at St. Giles Kingsway and The Well. I encourage you to have a listen. As always, comments/feedback are welcome and greatly appreciated.